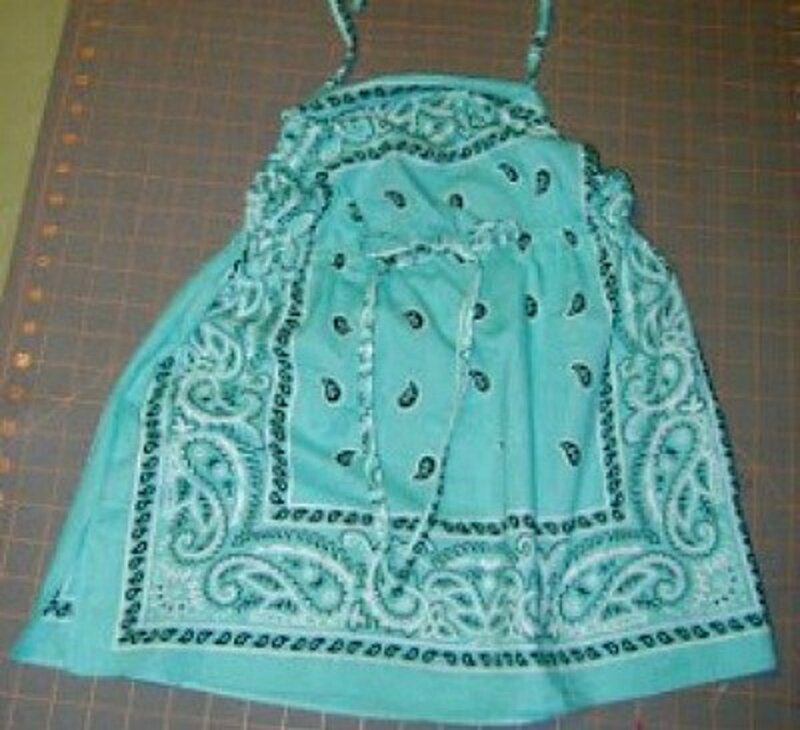 In this article Ill share with you all the bandana craft sites that I found in my Google search, that include a large picture of the craft and the instructions for making the craft. 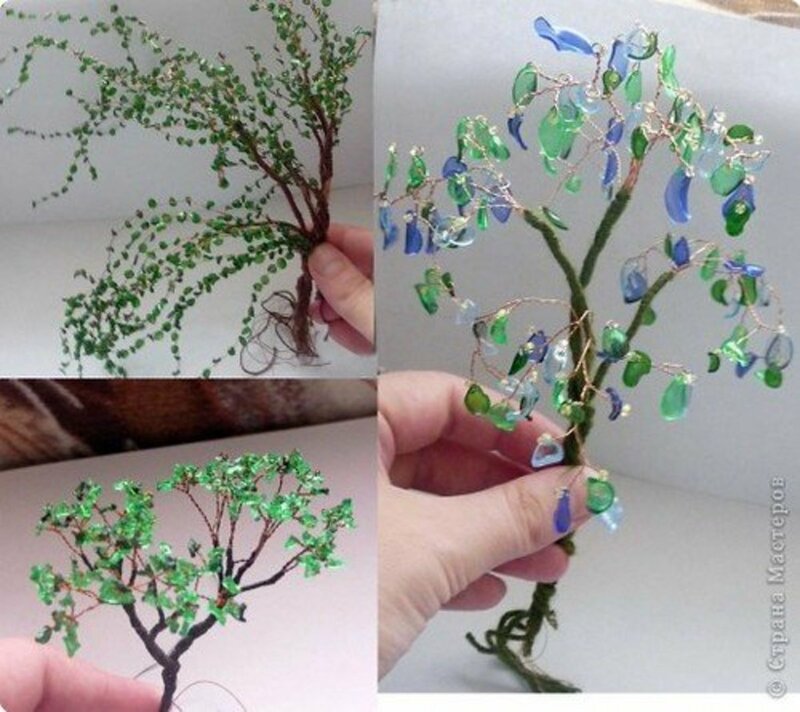 When I started my search, it didn't look like there were many projects shown in the Google images that included the instructions, most seemed to be sites selling the finished product. But, as one site led me to another, I found that there are more than first meets the eye. 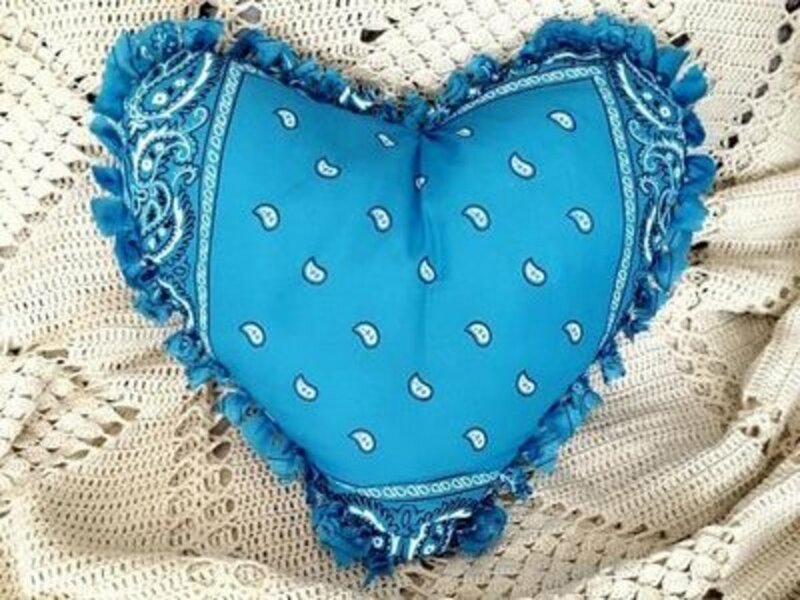 All the bandana crafts that you'll find here include the site address that will take you to the instructions. 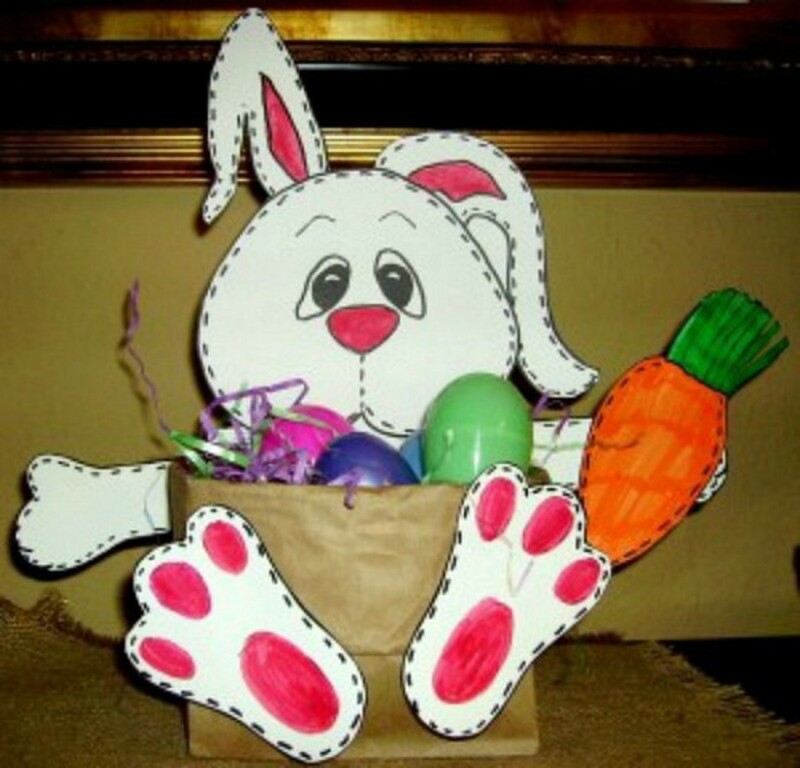 To make the centerpiece shown above, find the instructions at dollar store crafts. 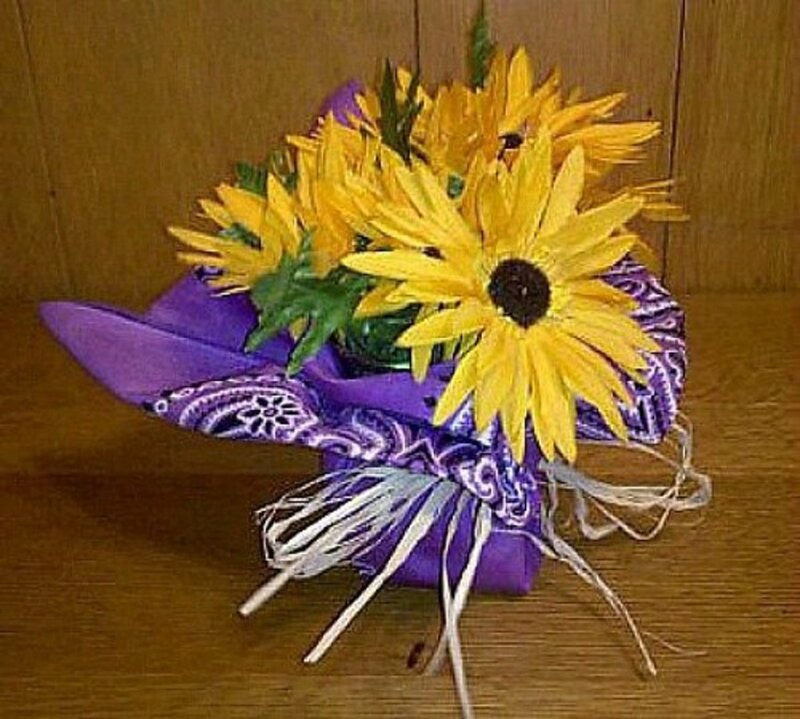 Nice for when you need a large number of centerpieces. 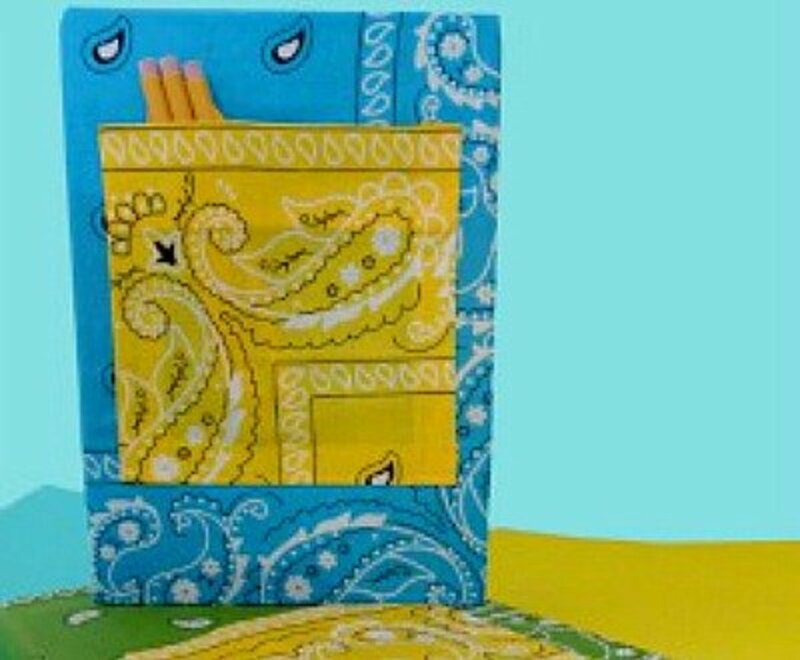 I like the clean, crisp look of these napkin holders made with bandanas. 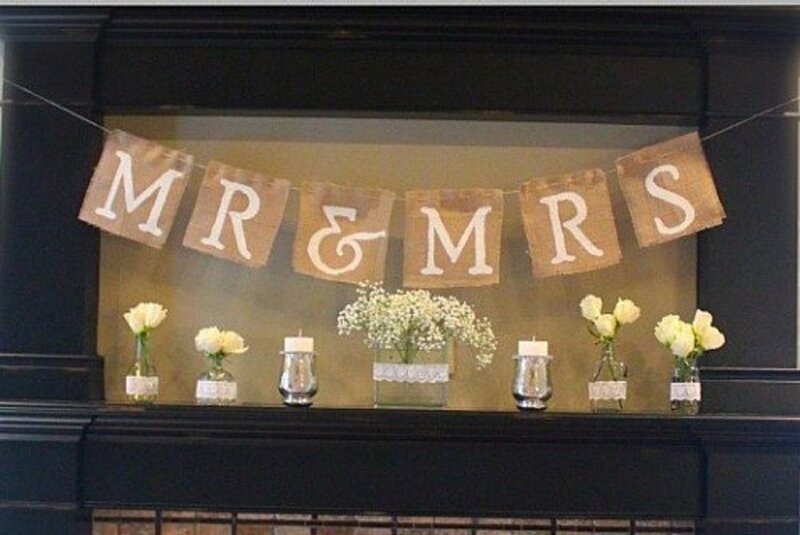 For the instructions to make this project, go to CountryLiving. 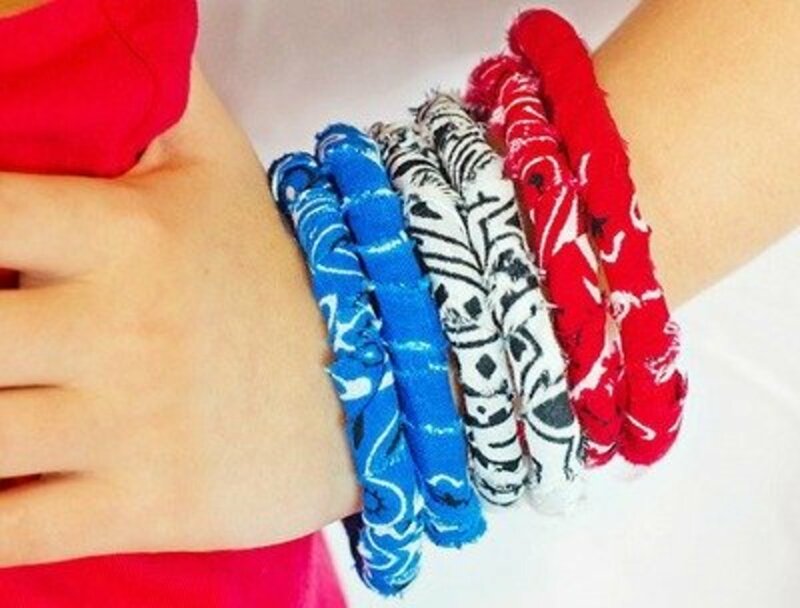 You'll find these bandana bracelets super easy to make using strips of torn fabric. 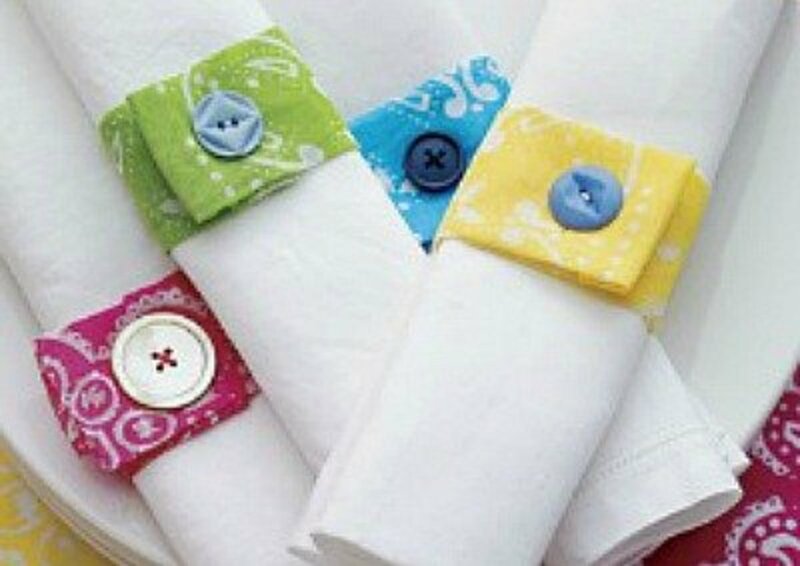 Find the instructions for making these no-sew, simple fabric bracelets at Scattered Thoughts of a Crafty Mom . 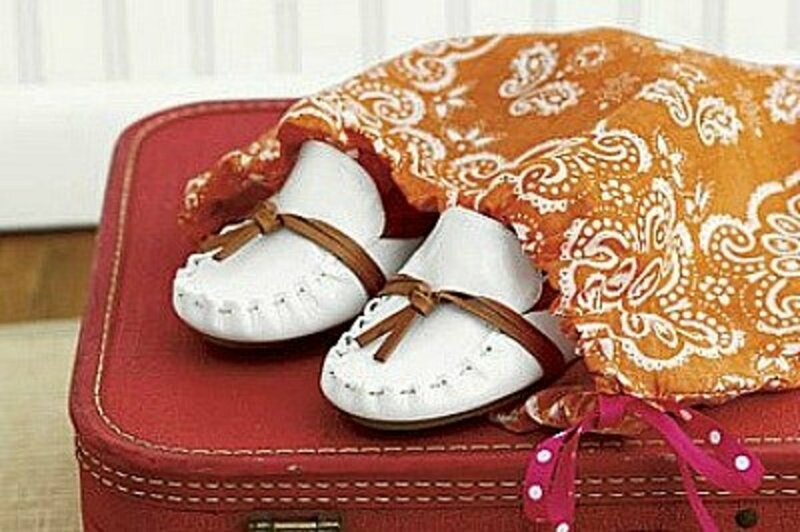 This is a perfect, easy to make bag for protecting your golf shoes, or imagine how nice it would be to have a few of these in your suitcase. CountryLiving has the information you'll need to make this bag. 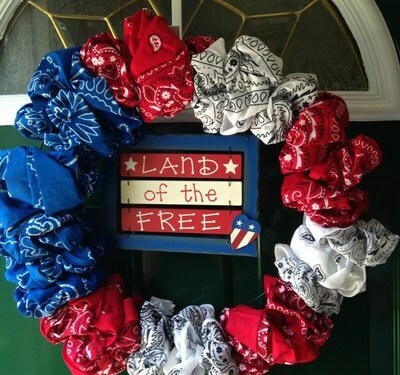 A beautiful wreath like this one is so very appropriate for the summer and 4th of July décor. 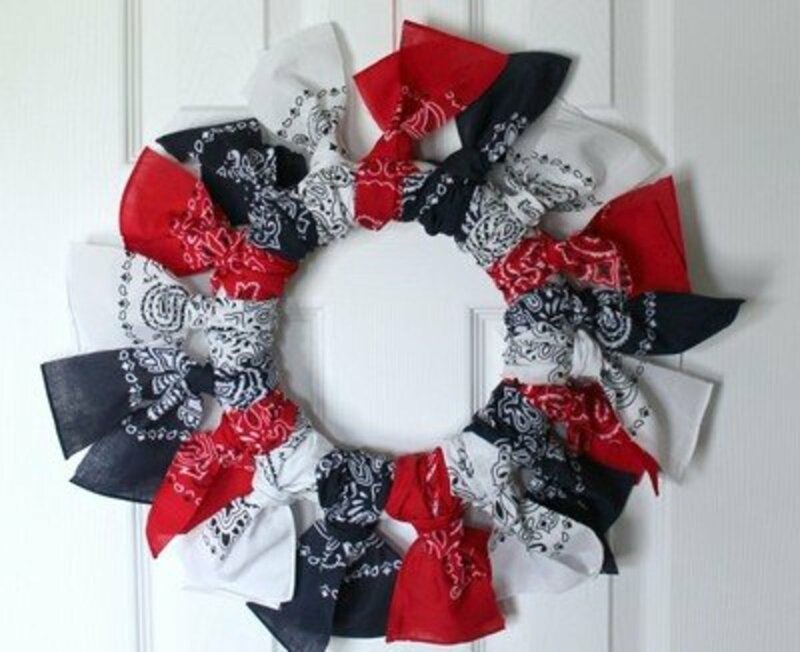 This so very patriotic appearing wreath is featured, and includes the instructions, on the Girl in the Garage site. How many times haven't you wished that you had a handy apron to protect your good clothes. 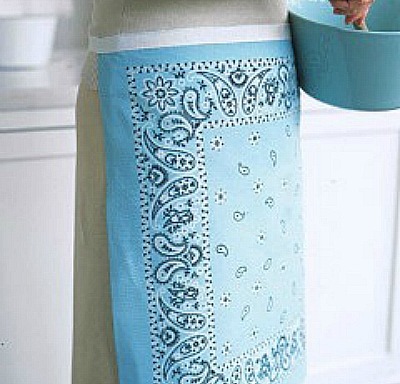 This simple apron is a project from Martha Stewart, and you'll find the instructions here. 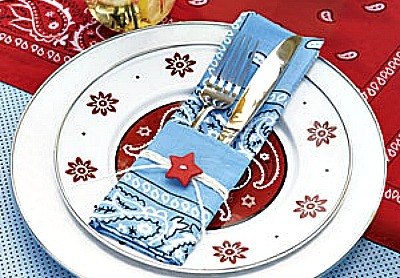 I love the simple and attractive use of bandanas to make this utensil holder. Imagine the themed celebrations where this bandana utensil holder would be appropriate. The tutorial for making this holder can be found at all you. This adorable little dress will quickly become a little girls favorite. Find out how to make this cute little dress at NAPTIME = CRAFT TIME! You'll love decorating with this wreath. 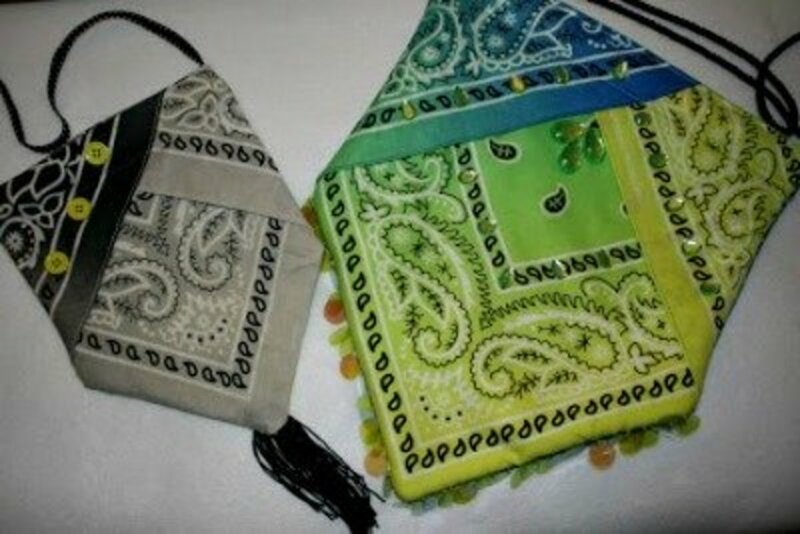 Find the instructions to make these beauties at Clutch Mov. 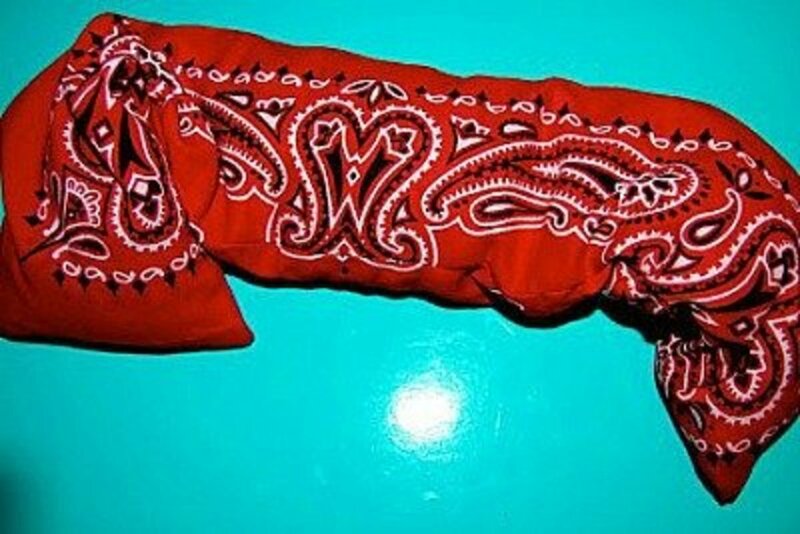 Imagine all the ways you can use this rag bow. Glue it on a headband or a pin, use it as an accent on a purse, or attach to a belt. I love this multi-use bow. Find the directions for making it at Sewing and Crafting with Sarah. The tutorial for this cute little halter top is found at Bits & Pieces. You'll also see a denim skirt shown and an address is given that will take you to that tutorial. A super easy and eyecatching pillow. Great project for a girl's slumber party. Find the instructions at A Crafty Mix and add color to any room. For some reason I really like this project. I think it's because I can imagine making this tablecloth in so many different colors. 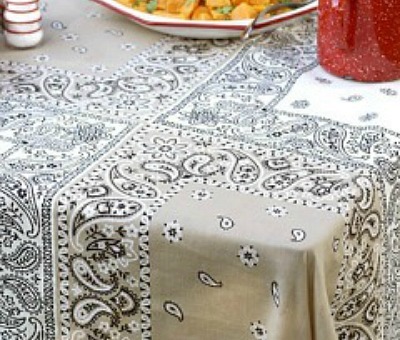 Martha Stewart gives instructions for making this tablecloth. 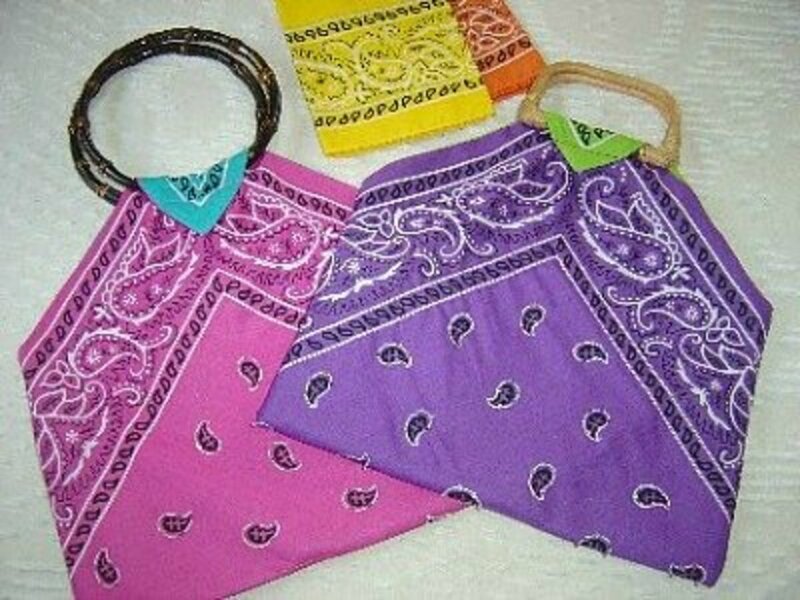 A tote made of cotton bandanas is perfect for summer use. This isn't a difficult bag pattern, so it goes together quickly. 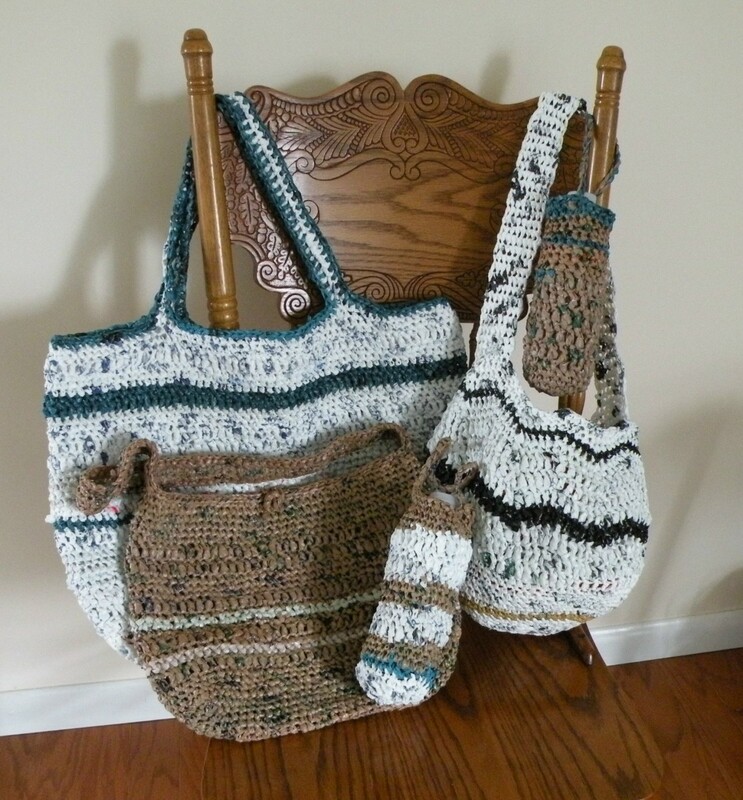 You'll find the instructions for this tote at SALLYGOODIN. 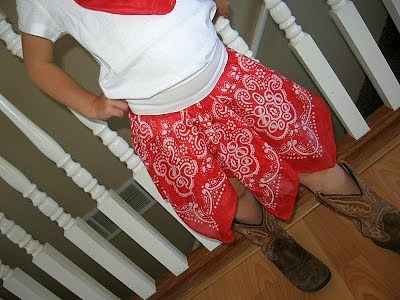 A skirt for a 3 or 4 year old can be made using one bandana. You'll find the tutorial for making this skirt at V and CO. This is really a cute way to keep those long locks under control, especially when playing sports or when the weather is windy. 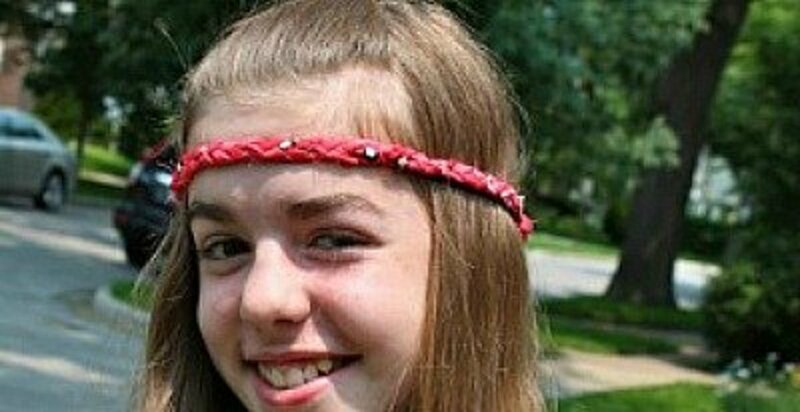 The tutorial for making this headband can be found at FAMILY CHIC. 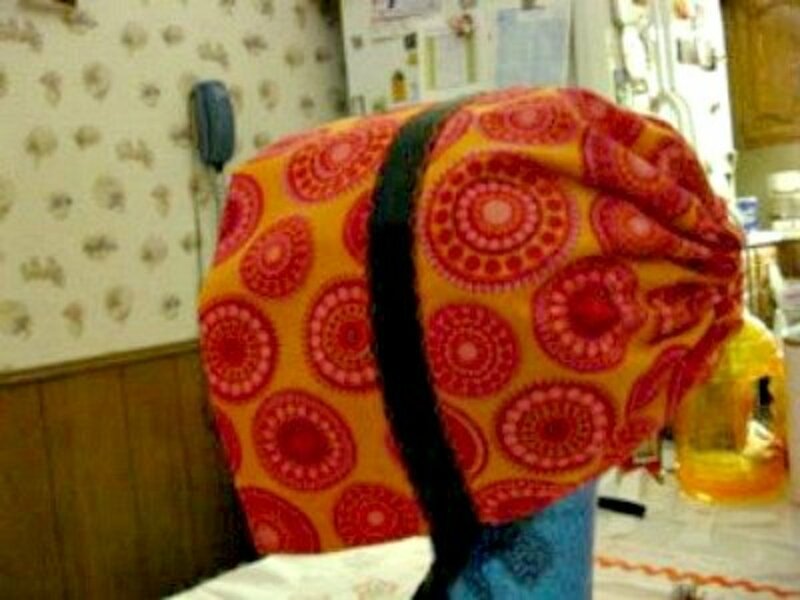 When you are in need of a heating pad, you'll be glad that you've already made this useful craft. You'll find the instructions at JADERBOMB. 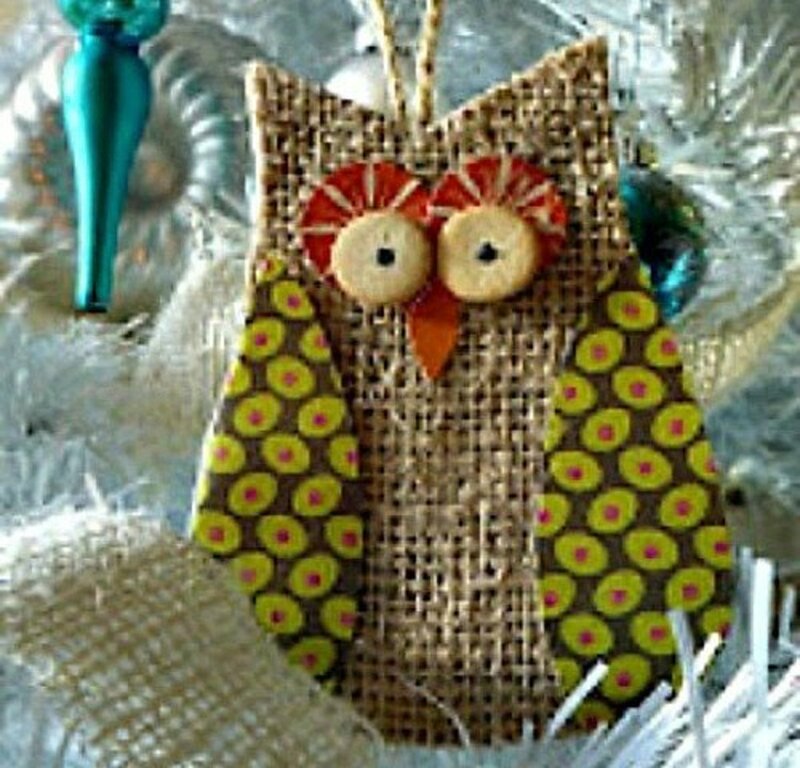 This is a no sew project with the instructions given at favecrafts. Give your books a unique bandana style. Find the easy to follow tutorial for making this bandana necklace at Happiness is Homemade. A really nice accessory to wear with jeans. 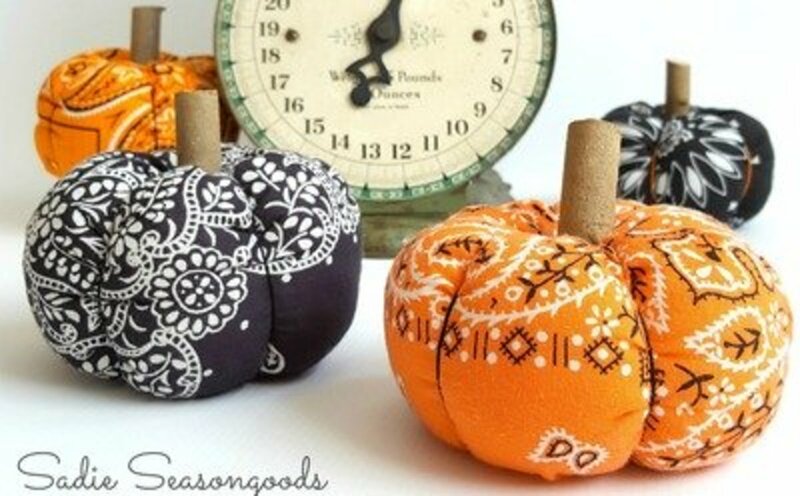 I have to smile when I look at these bandana pumpkins. Aren't they the cutest things? Make some for your Halloween décor by following the instructions at Sadie Seasongoods. 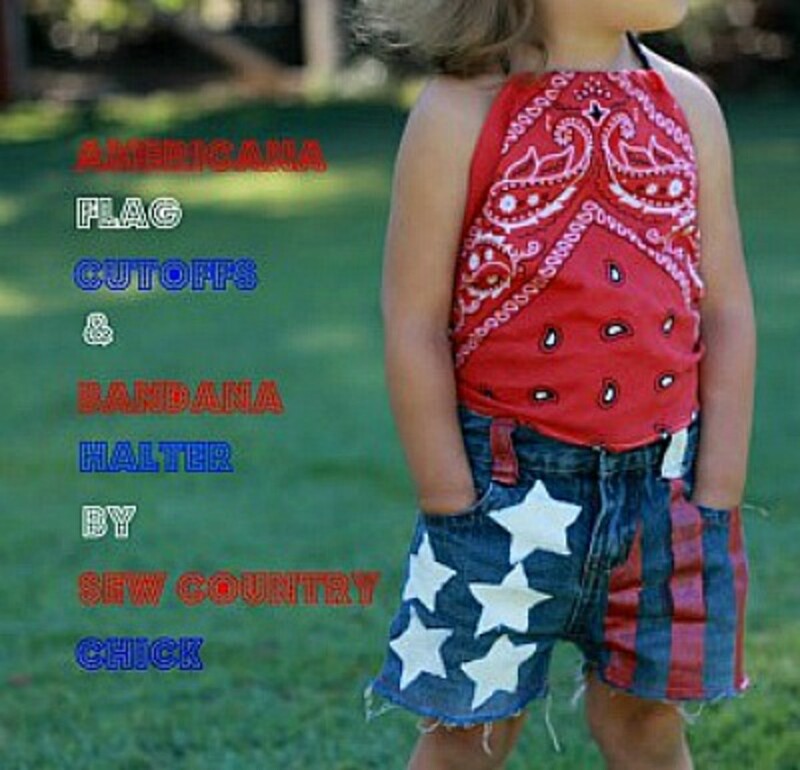 You'll get the instructions for making the halter top at sew country chick. and also the directions on painting the cutoffs. 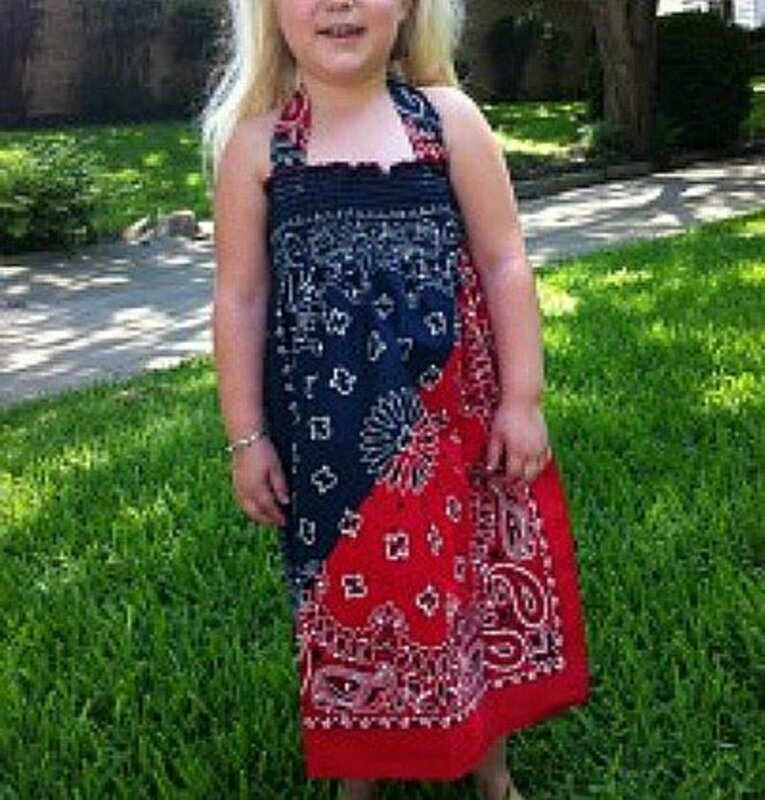 You'll be able to make this bandana bonnet by going to the thriftyfun site for the directions. I wish I'd had this information when I was making a bonnet for a grandchild a few years ago. You'll find plenty of uses for this hobo bag. This summer you can use it to go to the beach. 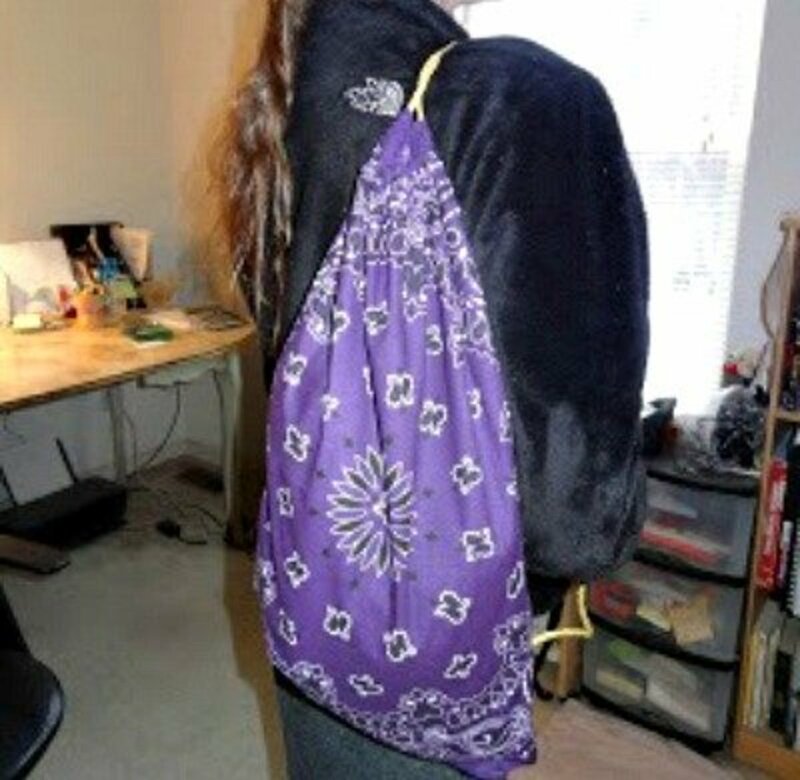 Find the directions at Dollar Store Crafts and then imagine all the things you can use this hobo bag for. 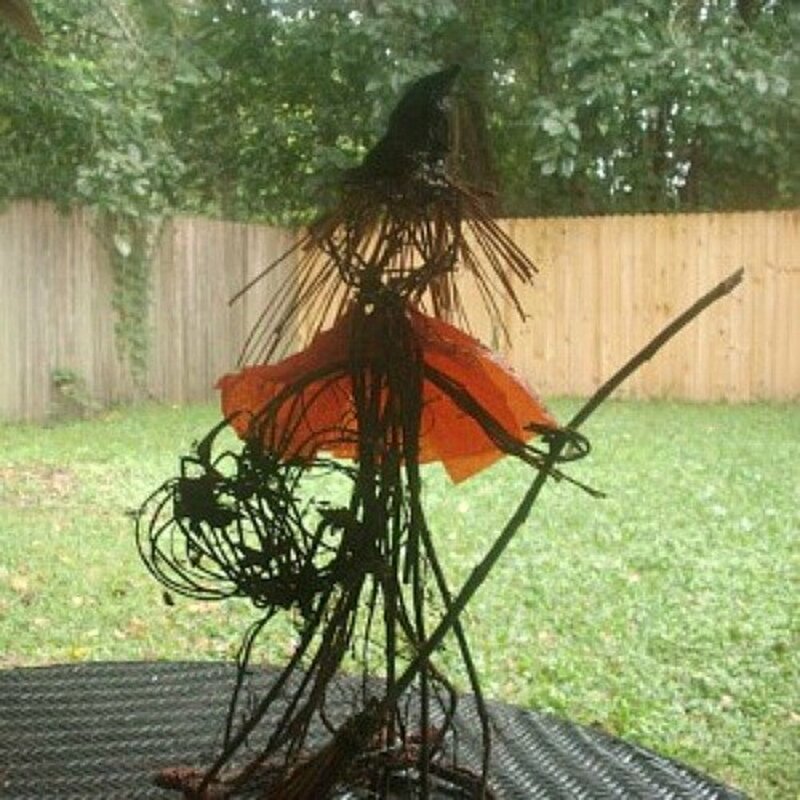 Easy, cheap and fun to make. 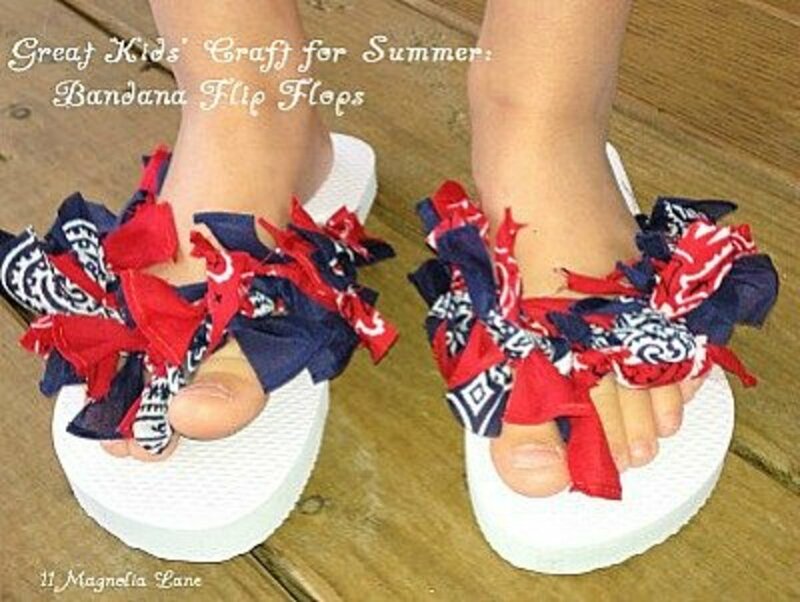 Help the kids make their own flip flop by following the instructions given at eleven Magnolia Lane. Be sure to go to this site, Buzzing and Bumbling, and read the instructions for this snap bag. I was really surprised why it's called a snap bag. 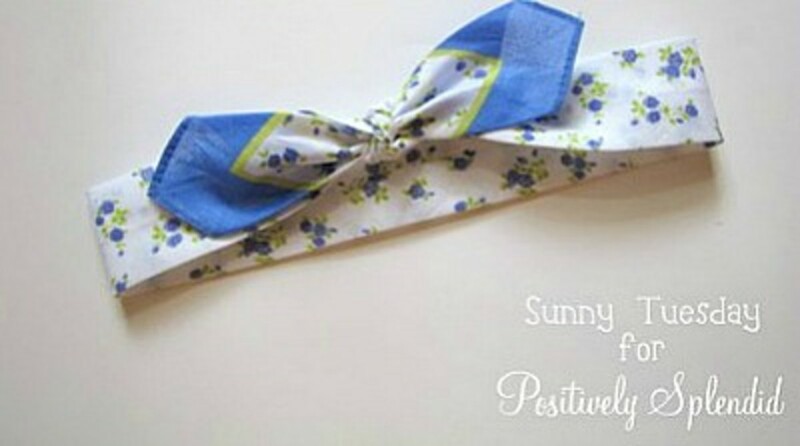 Find out how super easy it is to make this bandana headband by following the instructions given at POSITIVELY SPLENDID. This is really a cute little skirt. 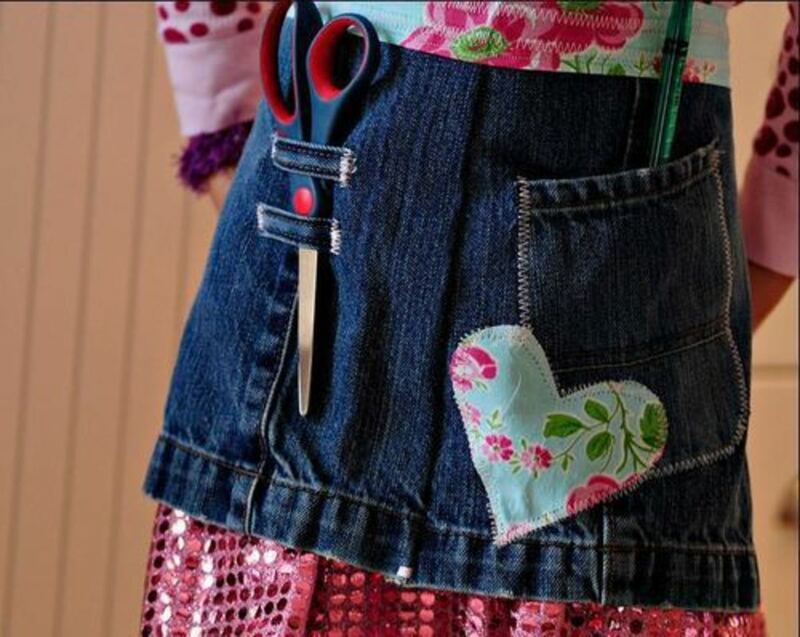 Any little girl will love to wear a skirt that looks like this one. 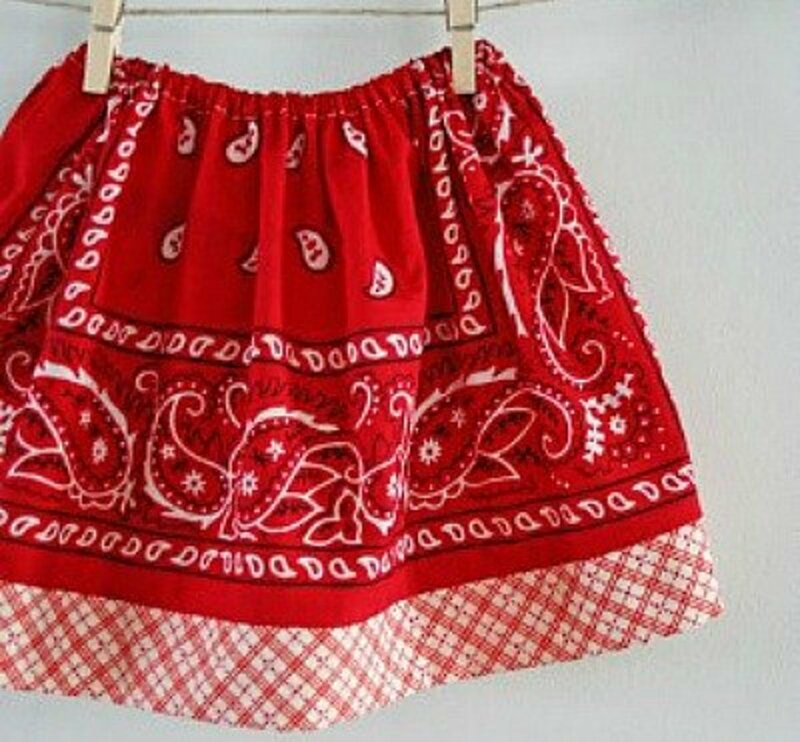 You can make a handkerchief skirt like the one shown above by following the tutorial at tidbits. 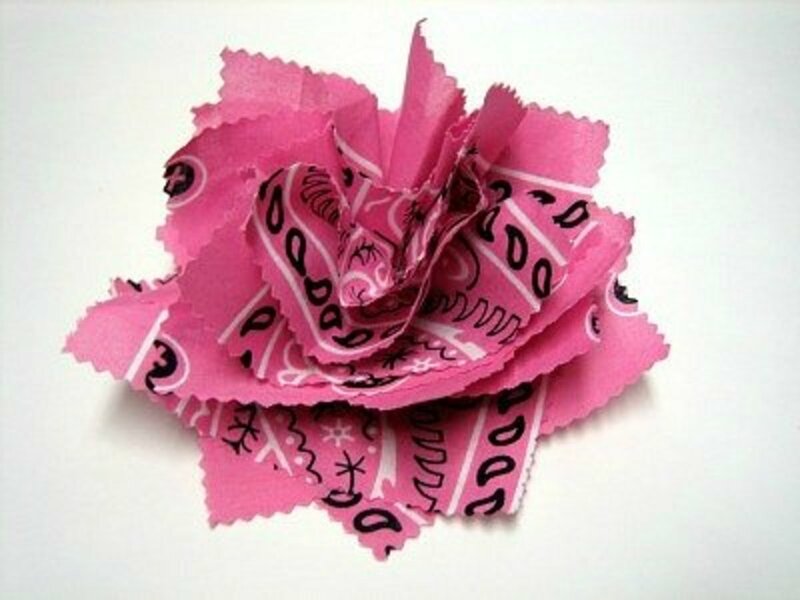 Did You Find A Bandana Craft ? - or leave a comment.